When Koch Kuts creates your perfect backyard escape, you’ll want your next vacation to be a “staycation”. Few materials are as timeless and classic as brick when it comes to outdoor spaces. Whether it’s a brick road in an old small town or a new brick patio out your backdoor, the warm color and natural texture make for a high quality and attractive surface. Although standard bricks are clay-colored and rectangular, pavers are now available in many shapes and colors. We’ll help you make the right choice for a brick driveway, patio, or walkway that’s easy to maintain and flatters your home and landscape. Koch Kuts creates designs that will withstand the test of time. They blend and harmonize beautifully with their surroundings. Your outdoor living space can and will be enjoyed by everyone for years to come. Some of the biggest trends in outdoor living spaces right now are outdoor kitchens, fire places / fire pits, water features and bars. People want to feel they are on vacation every day. 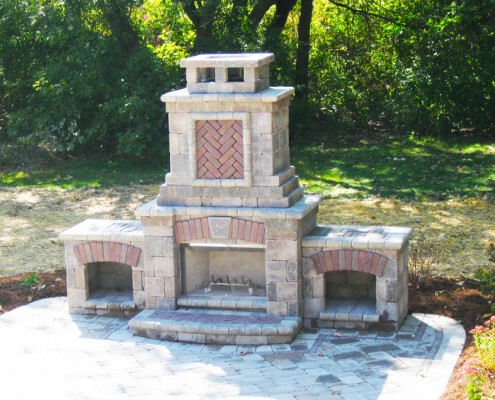 Brick pavers are a manufactured product made of clay that is heat cured, usually in the shape of a rectangle. Like other types of pavers, clay brick pavers have been used as a surfacing material for centuries. Though bricks are somewhat fragile compared to cobblestone and concrete pavers, with a good base and regular maintenance, they can easily stand up to normal hardscape usage. How Long Will a Brick Paver Driveway Last? A properly installed brick paver driveway should last at least 25 years. When it comes to regular maintenance a brick paver driveway, fireplace, or pathway should be washed once or twice a year. To ensure a long life, the bricks should be sealed after each washing. Bricks have been used as a building material for millennia. Durable and beautiful, brick pavers are an excellent choice when designing your outdoor patio. 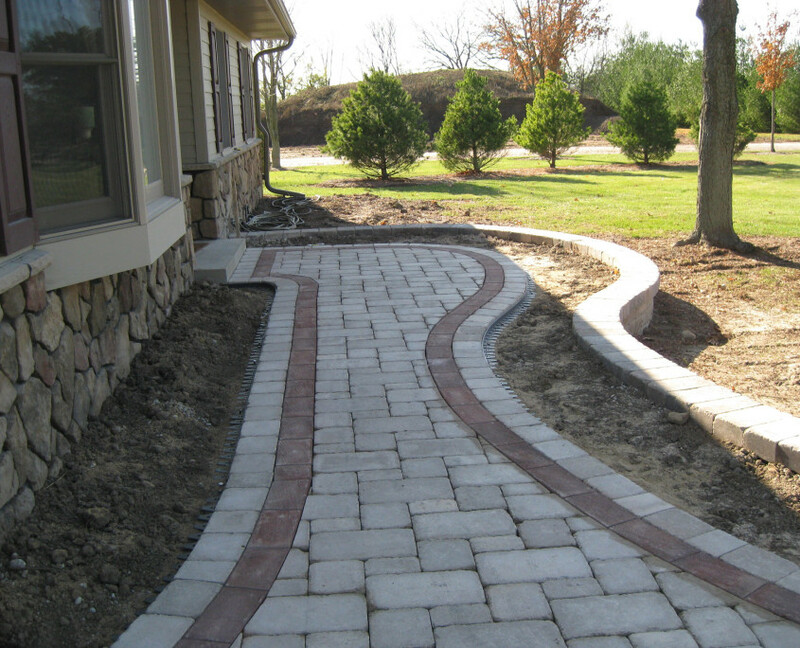 Koch Kuts Landscaping and Maintenance is proud to have a team of expert brick pavers in Burlington, Waterford, Mukwonago and the southeastern WI area. Since 1996, our family owned and operated company has helped area home and business owners beautify their exteriors and expand their useful outdoor space. 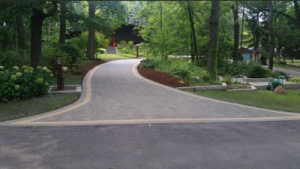 We enjoy taking the time to understand your goals and desires for a patio, walking path or retaining wall, and put our knowledge and experience to good use in your project’s completion. Koch Kuts experienced staff can and will help you turn your yard into a comfortable and relaxing retreat for your family and friends to enjoy. Brick is a durable, attractive material that is resistant to fade from UV rays and ideal for foot traffic safety. The surface texture reduces the potential for slippage, and the natural color is longer lasting than synthetic versions. Our brick pavers will consider the location and function of your brick, and make their suggestions accordingly. We promote brick as a material that is easy and quick to install, more flexible than traditional concrete or asphalt and a snap to repair. Better yet, you have an array of options when it comes to design, as we can lay your bricks in numerous configurations and patterns. 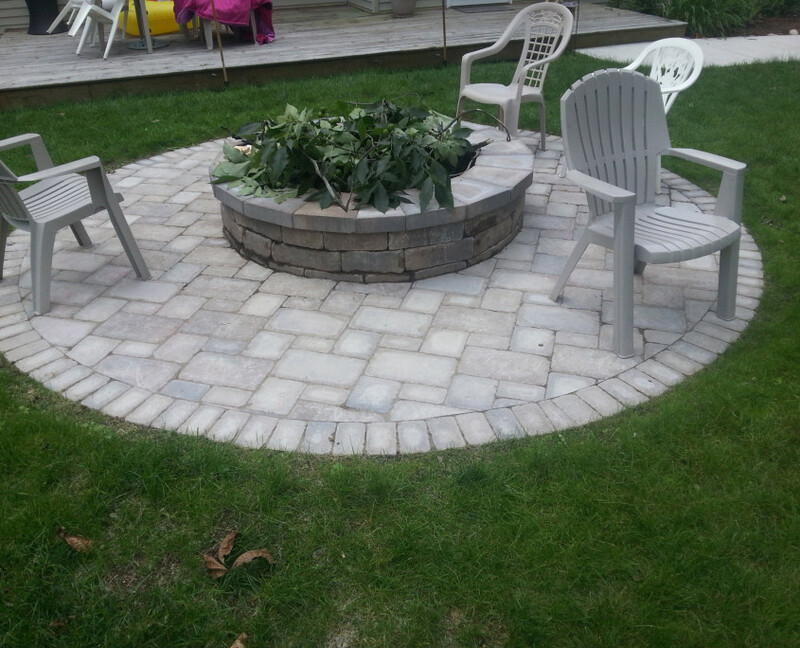 Contact our Hardscape Contractors today to get started on your patio, driveway, or walkway design!